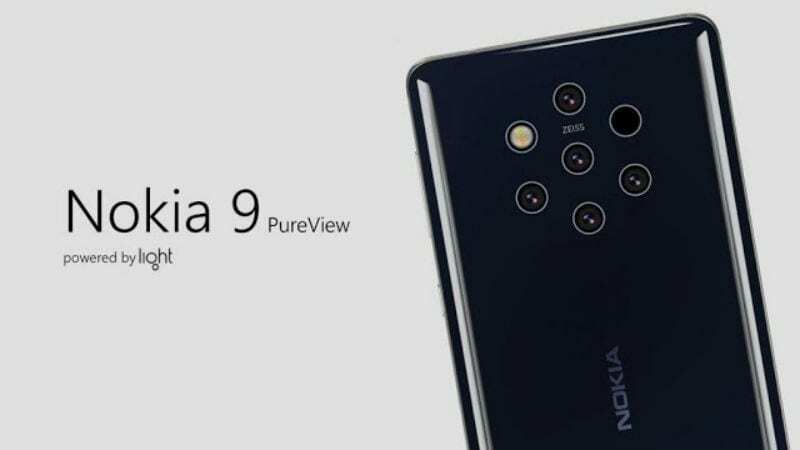 While we're yet to see the formal presence of the much anticipated Nokia 9 PureView, rumours of its successor have now surfaced on the Web. The Nokia 9 successor is said to come with a Qualcomm Snapdragon 855 SoC and support 5G connectivity. It is also reported that the new Nokia phone will be officially launched sometime in August 2019. The original Nokia 9 PureView, on the other hand, is speculated to come at Mobile World Congress (MWC) next month - though this contradicts a report for late January. Meanwhile, the handset is rumoured to sport a penta-lens camera setup and a thin-bezel display panel - without any notch design. A tipster with Twitter account Nokia_Leaks has claimed that Nokia 9 PureView successor is in works with a Snapdragon 855 SoC. The new model is said to arrive in August 2019 with 5G support. The Nokia 9 PureView successor is said to have a "true edge-to-edge" QHD (2K) display along with a dedicated cutout in the display for a selfie camera. This is unlike the original Nokia 9 that is rumoured to have a flat display along with thin bezels. Notably, Samsung last year launched the Galaxy A8s in China with an Infinity-O Display panel that had a hole specifically for the selfie camera. The Galaxy S10 flagship models are also likely to have similar a display design. The tipster also claims that there will be a penta-lens camera setup, similar to the Nokia 9 PureView. However, it is said that the succeeding model will have a bigger sensor over what will be sported on the Nokia 9. The successor is also claimed to deliver better image quality against its predecessor. As we mentioned, we're yet to receive a formal confirmation around the Nokia 9 PureView development. It is, therefore, difficult to presume the existence of its successor. That said, Nokia brand licensee HMD Global can be expected to launch the Nokia 9 PureView either later this month, or at MWC 2019 next month. An early 2019 launch has been tipped for a while. The smartphone is rumoured to have an in-display fingerprint sensor, 6-inch display panel, 8GB RAM, and 256GB of onboard.